So I was at Traders Point Creamery’s Loft Restaurant today to interview executive chef Brandon Canfield for this Saturday’s “Eat Drink Indiana Radio” program. After a great conversation about honest food, farm-to-fork dining and how he creates a dish with his favorite spring ingredients, I did a little shopping in the creamery’s farm store. 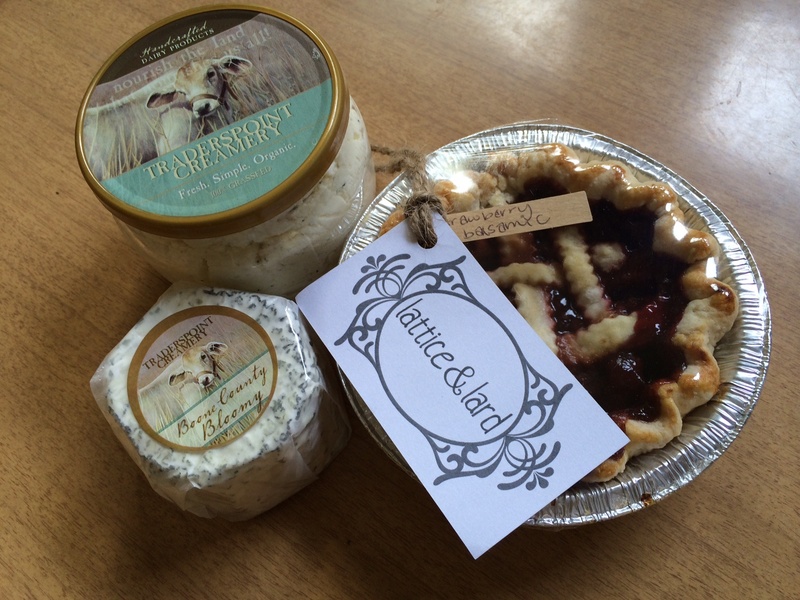 Fromage Blanc, Boone County Bloomy and a strawberry balsamic pie from Lattice & Lard. 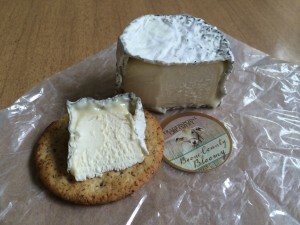 They’ve expanded the product line in the shop, and I couldn’t resist trying a couple of favorites as well as a new item. For $18 bucks, I got a jar of the creamery’s fromage blanc, their Boone County Bloomy cheese and a strawberry balsamic mini pie from Lattice & Lard. And that was my lunch! 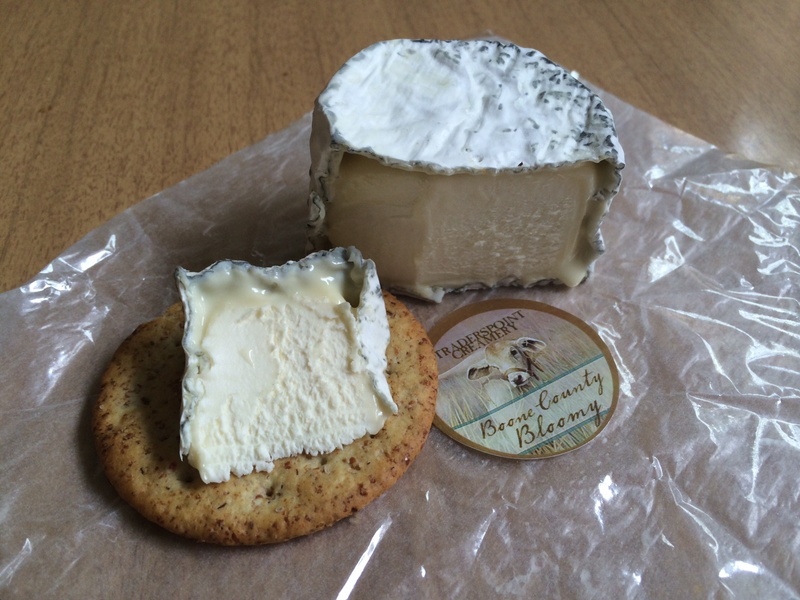 Boone County Bloomy cheese from Traders Point Creamery. 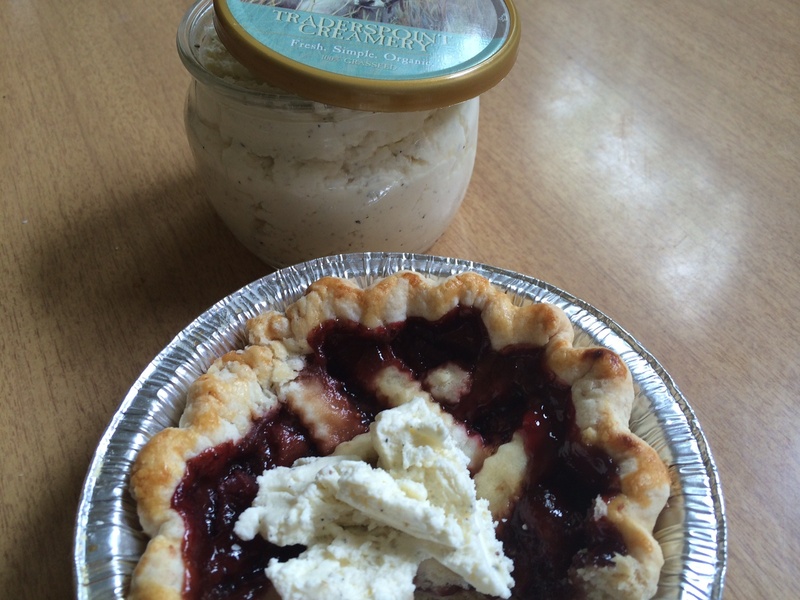 Strawberry balsamic pie from Lattice & Lard topped with Traders Point Creamery.